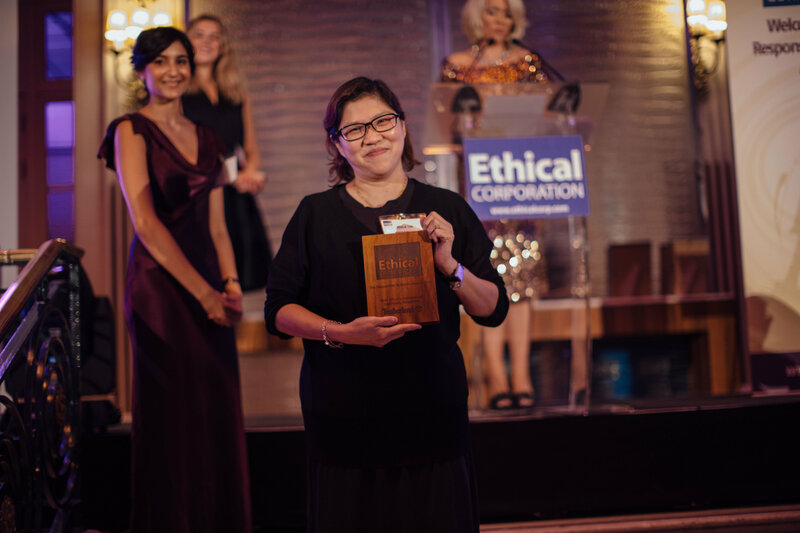 On Friday, September 30, 2016 outdoor lifestyle brand Timberland was honored at the Seventh Annual Ethical Corporation Responsible Business Awards as winner of the “Most Effective International Investment” category. The international awards ceremony, held annually in London, recognizes innovative and meaningful approaches to making responsible business a reality. For Timberland, this honor came as the company culminated its five-year commitment to reforest Haiti and empower smallholder farmers through tree planting. In 2010, Timberland embarked upon a mission to plant five million trees in Haiti– one of the most severely deforested countries in the world– by the year 2015. Central to this mission was ensuring that the tree planting initiative would be self-sustaining at the end of the five years. To achieve this goal, Timberland worked with local partners to create a long-term solution that empowers Haitians to play an active role in spurring economic development, improving agricultural practices and supporting reforestation. The solution came to life with the formation of the nonprofit Smallholder Farmers Alliance (SFA). Through the SFA, local smallholder farmers volunteer in tree nurseries established by Timberland, and in exchange for their time, the farmers receive seeds, tools, training and seedlings, which have helped significantly increase their crop yields and incomes. Within five years, the model enabled participating farmers to completely self-finance and manage the network of tree nurseries that today continues to produce one million trees a year. Given its success, Timberland hopes to replicate this agroforestry model, and has invested in a feasibility study to potentially scale the program for cotton in Haiti, creating a direct link to its footwear and apparel supply chains. The entire project is chronicled in the documentary, “KOMBIT: The Cooperative,” or read more about it here. To learn more about Timberland’s commitments to make products responsibly, protect the outdoors and support communities around the globe, visit timberland.com/responsibility.